Blogodidact: What Would the Founders Do? Common Sense says WHO CARES! What Would the Founders Do? Common Sense says WHO CARES! Allow me one more jab at the dangers of uninformed "Common Sense", through what is considered by most conservatives to be a very common sense question: What Would the Founders Do? Well... sorry, but what the Founding Fathers would have done, given some situation we might face, is a question for antiquarians and some not so useful historians. It doesn't matter to us. It shouldn't matter to us. And, conservative revolutionaries that they were, asking it is an insult to their memory. What they would do, would only apply to their pre-industrial and pastoral context, and it would be ridiculous to attempt to insert what they would have done then, into the context of our technological age now. It doesn't matter. We defame them even asking the question. After all, Common Sense says that the Founders are dead, their cities as they knew them, and the lives and lifestyles they knew are gone, and are irrelevant to our lives... what they would do does not matter and should not matter to us - they are dead and buried, hallowed be their names. If you are looking to the Constitution as a portal to somehow determine what they would have done... I've got news for you... not only can't you do it, but it wouldn't matter if you did, they are dead and buried and cannot act in our world. But, what our Founding Fathers did pass on down to us, can be and is still fully living and breathing, through us (or at least it should be), and the Constitution is the vital and very solid guide which we have to it. Note: the Constitution is not, repeat NOT a living breathing document, it was written down on paper, copied and distributed, so that it would remain permanent and unchanging unless specifically amended by We The People, so that it could be passed down from their time to ours and beyond... without the slightest hint of a breath, gasp or sneeze - but it is the Rosetta stone to the Founders still living philosophy of Classical Liberalism and Natural Law, and it shows us how to understand those ideas and how to apply them to our world, our lives and our context. The real question we need to be asking is Why would they do what they did, what were the ideas which animated them and with which they wrote our constitution and how can we apply those same still living ideas, to our lives and context so that we can continue living in liberty and freedom?! That is the question we need to be asking. "Senator DECONCINI. Yes. You feel that it only applies to their State constitutional rights. Judge BORK. Senator, if anybody shows me historical evidence about what they meant, I would be delighted to do it. I just do not know. Senator DECONCINI. to be found under article IX? Judge BORK. There are two parts to that. First, there are some rights that are not enumerated but are found because of the structure of the Constitution and government. That is fine with me. I mean that is a legitimate mode of constitutional analysis. I do not think you can use the ninth amendment unless you know something of what it means. For example, if you had an amendment that says "Congress shall make no" and then there is an ink blot and you cannot read the rest of it and that is the only copy you have, I do not think the court can make up what might be under the ink blot if you cannot read it. Senator DECONCINI. Let me ask you this question: If you had to speculate, what do you think Madison or some of the framers had in mind as to unenumerated rights? Senator DECONCINI. I understand. I said this is all hypothetical. Judge BORK. All right. They might have had in mind what I just said about the enumeration of these does not entitle judges to override the state constitutional rights. They also might have had in mind perhaps a fixed category of what they regarded as natural rights, although if they did have in mind a category of natural rights, I am a little surprised they did not spell it out and put it into the Constitution, because they specified all the other rights. There is no evidence that I know of that this was to be a dynamic category of rights, that is that under the ninth amendment the court was free to make up more Bill of Rights...."
, and good luck finding 'conservative' sites giving any mention of it... libertarian, left and whacko left sites are about the only ones to mention it - so much for "common sense" being able to conserve or defend the constitution. This is the very same 'conservative' view of Rights and States Rights which Justice Taney and the confederacy used to determine that some poeple could own other people as property. It is also the very same view which Taney expressed in the Charles River Bridge case I noted in a previous post, and which Daniel Webster lamented as being the "death of Property Rights", and it is one of the more frightening statements I've heard modern day conservatives make regarding our Rights, and what few of them have any standing with some of our 'legal scholars'. Thank God Bork's nomination was defeated. The Conservative who follows the constitution is all well and good, and far better than the leftist who obfuscates it, but if the conservative doesn't understand what the constitution means... he's going to do grevious damage to it as well. Most of the conservative judges today, while I'll take them over the leftists, and with the oft exception of Justice Clarence Thomas (such as for his opinion at the end of this post, big kudos there), I for one can't say that I admire them. I certainly don't share Mark Levin's admiration for judges such as Robert Bork, and even with a much greater mind such as Justice Scalia, it seems that when trying to imagine "What Would the Founders Do?" in regards to our Individual Rights, they in essence shrug... and say "I don't know". "In my view, a right of parents to direct the upbringing of their children is among the "unalienable Rights" with which the Declaration of Independence proclaims "all Men ... are endowed by their Creator." And in my view that right is also among the "othe[r] [rights] retained by the people" which the Ninth Amendment says the Constitution's enumeration of rights "shall not be construed to deny or disparage."..." "...Consequently, while I would think it entirely compatible with the commitment to representative democracy set forth in the founding documents to argue, in legislative chambers or in electoral campaigns, that the state has no power to interfere with parents' authority over the rearing of their children, I do not believe that the power which the Constitution confers upon me as a judge entitles me to deny legal effect to laws that (in my view) infringe upon what is (in my view) that unenumerated right." So while Scalia sees those non-enumerated rights as being valid for legislators to take into consideration when writing law, and rightly so, he goes on to say that if someone makes a law that clearly violates the unenumerated rights of parents or other forms of property rights - that's ok, it's a law now and it says so. This I think bears out much of Madison's fear, that enumerating some rights, will for a "debased posterity" (us), mean that any rights which are not enumerated, in effect, just don't exist. "It has been objected also against a bill of rights, that, by enumerating particular exceptions to the grant of power, it would disparage those rights which were not placed in that enumeration, and it might follow by implication, that those rights which were not singled out, were intended to be assigned into the hands of the general government, and were consequently insecure. This is one of the most plausible arguments I have ever heard urged against the admission of a bill of rights into this system; but, I conceive, that may be guarded against. I have attempted it, as gentlemen may see by turning to the last clause of the 4th resolution." "The exceptions here or elsewhere in the constitution, made in favor of particular rights, shall not be so construed as to diminish the just importance of other rights retained by the people, or as to enlarge the powers delegated by the constitution; but either as actual limitations of such powers, or as inserted merely for greater caution." "Mr. Sedgwick ... what, said he, shall we secure the freedom of speech, and think it necessary, at the same time, to allow the right of assembling? 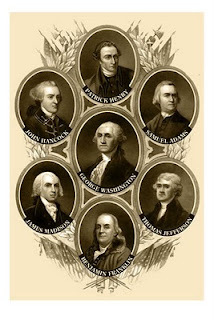 If people freely converse together, they must assemble for that purpose; it is a self-evident, unalienable right which the people possess; it is certainly a thing that never would be called in question; it is derogatory to the dignity of the House to descend to such minutiae; he therefore moved to strike out "assemble and." Mr. Benson.--The committee who framed this report proceeded on the principle that these rights belonged to the people; they conceived them to be inherent; and all that they meant to provide against was their being infringed by the Government. Mr. Sedgwick replied, that if the committee were governed by that general principle, they might have gone into a very lengthy enumeration of rights; they might have declared that a man should have a right to wear his hat if he pleased; that he might get up when he pleased, and go to bed when he thought proper; but he would ask the gentleman whether he thought it necessary to enter these trifles in a declaration of rights, in a Government where none of them were intended to be infringed." Not until later generations, did we begin to question the peoples inherent and unalienable rights such as were once assumed 'self evident' and which the Ninth and Tenth amendments embody and assume, and it would be a couple generations further down the gene pool, as proregressive education, under the guidance of fiends such as Woodrow Wilson and John Dewey, took more and more root, that any of those challenges would stick. 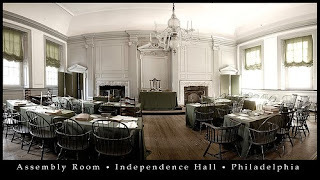 But, if you learn the ideas with which they understood and lived by, and which they applied in writing and debating the Constitution, then you will come to understand that the 9th and 10th amendments are among the most vital of passages not only in the Constitution, but to our understanding of liberty and freedom, and their continuation in these United States. ... One should suppose, if the history of the human mind did not furnish abundant proof to the contrary, that no reasonable man would contend for an interpretation founded neither in the letter, nor in the spirit of an instrument. Where is controversy to end, if we desert both the letter and the spirit? What is to become of constitutions of government, if they are to rest, not upon the plain import of their words, but upon conjectural enlargements and restrictions, to suit the temporary passions and interests of the day? Let us never forget, that our constitutions of government are solemn instruments, addressed to the common sense of the people and designed to fix, and perpetuate their rights and their liberties. They are not to be frittered away to please the demagogues of the day. They are not to be violated to gratify the ambition of political leaders. They are to speak in the same voice now, and for ever. They are of no man's private interpretation. They are ordained by the will of the people; and can be changed only by the sovereign command of the people." "since the American revolution no state government can be presumed to possess the transcendental sovereignty, to take away vested rights of property; to take the property of A. and transfer it to B. by a mere legislative act. That government can scarcely be deemed to be free, where the rights of property are left solely dependent upon a legislative body, without any restraint. The fundamental maxims of a free government seem to require, that the rights of personal liberty, and private property, should be held sacred. At least, no court of justice, in this country, would be warranted in assuming, that any state legislature possessed a power to violate and disregard them; or that such a power, so repugnant to the common principles of justice and civil liberty, lurked under any general grant of legislative authority, or ought to be implied from any general expression of the will of the people, in the usual forms of the constitutional delegation of power." But such sensibilities are common sense only if those fundamental ideas and principles are common to the thoughts of those thinking them - as they were in the Founding Father's era. Today, however, thanks to proregressives like Oliver Wendel Holmes, and such 'philosophies' such as Textualism and Originalism, those once common sense ideas of our Founder's philosophies of Classical Liberalism and Natural Law , have been pushed from our national "Common Sense", and as a result our modern Supreme Court authorizes doing just what Justice Joseph Story was so sure could never happen here; as we see almost routinely now, in cases like Kelo vs. New London. Reading Story's commentaries on the constitution, shows how much we have lost of our valuable Classical Liberalism and Natural Law... and attempting to read the constitution with only 'college sense' or 'common sense', conservative or otherwise, absent the ideas which created it... is doomed to failure. There really is no getting around it... we must become again a nation which educates itself to be worthy and capable of liberty and self-governance - or lose both. One way to make a good start at this, is through deeply reading The Constitution of the United States of America yourself, for it is the ciphers key which enables us to reconnect with and unlock the meaning of our native Classical Liberalism and Natural Law from within sources such as the Federalist Papers, John Locke, Blackstone, Montesquieu, Coke, Cicero... not only to discover what the Founders themselves thought... but more importantly, WHY they thought it! Absent that, any pretences of 'Common Sense' are quite likely to lack any real sense of the meaning of the very Constitution we are seeking to conserve, and that should be considered uter nonsense. It is that temper we need to understand, and relearn. Tocqueville believed the entire key to be that the astonishing lack of government intrusion in America engendered the muscular involvement of citizens through associations. 'One of the happiest consequences of the absence of government is the development of individual strength that inevitably follows from it. In the United States it was never intended for a man in a free country to have the right to do anything he liked; rather, social duties were imposed upon him more numerous than anywhere else. The only way opinions and ideas can be renewed, hearts enlarged, and human minds developed is through the reciprocal influence of men upon each other. Xlbrl said "...the astonishing lack of government intrusion in America engendered the muscular involvement of citizens through associations. ..."
Yes, or to hit my personal buzz-word, Integration. Citizens lives, as a result of being in a position to make their own choices and decisions, were deeply integrated, deeply involved in interactions, transactions, associations from the corner grocer, to the one room school house. And the direct result of the top-down decision making which is the hallmark of proregressive thinking, is the dis-integrating of those individual self generated associations - decisions are not formed, they are imposed. Everything from city planning & zoning, to larger, bigger, better schools, school boards and universities, and senators and representatives answer to larger numbers of people... which all results in people having fewer and shallower and more distant relations. Even down to the architectural design of our homes and neighborhoods... if you look at the norm of 18th & 19th century homes, they were open to the neighborhood and interactive with it... homes interspersed with businesses, yards, porches, window styles, sitting rooms (an interesting new experiment in residential living, ironically being tried by typical planned subdivision builders, is one where they are trying to update the old styles into modern forms 'New Town' is one here - from what I've been able to see it is accomplishing what it set out to do, I enjoy going there and wandering around through it, I would have bought there if we'd heard of it before buying our standard subdivision house)... as opposed to modern subdivisions which are as closed off from the street and neighbors as possible, from other income groups as possible, and from their schools with principles & teachers coming in from across town teaching their only materials... and on and on and on. And again, no conspiracies or dark nefarious designs necessary, just the results of spontaneous decisions made under the influence of those particular sets of ideas, Rousseau, Kant, etc, which were completely alien to our original American ideas. "...social duties were imposed upon him more numerous than anywhere else." I would just quibble with the word 'imposed'... social duties were taken up because the were the obvious results of living independent lives - the irony abounds. Individualism, true individualism, not the immature me, myself & I ranting of so many supposed libertarians (and is more a narrow reaction to collectivism, than truly reasoned deliberations), but the individualism which results from a person making the countless observations, actions and decisions necessary for living and building a free life - it results in a life that becomes deeply enmeshed in the lives of their society, and if rational, sees, admits, and refuses to shirk the responsibilities of living in that society of Individuals. All of that is invisible to the obamao type of mind... it sees only that it is common sense to implement and impose the 'smart idea' of the experts down onto the little people, and the 'conservative' sees only that some customs have been dropped and so it is common sense that they need to be revived by imposing them on themselves... which will only serve to produce more resentment and rebellion. Common sense bereft of the direct and critical low level knowledge and experience involved in the area of the decision... results in an enforced stupidity for all. Van, you are a repository of treasures on the Constitution! What an education your blog is in itself! When I saw your Rachel Carson quote at OC, I hoped you might be able to help me with a little dilemma. My SIL called asking me for guidance on writing a paper for a Carson-loving teacher in one of her university classes. The prof said the book "revolutionized discussion regarding the environment in the 60's" and that they were to "connect the DDT chapter to three points from previous chapters they've covered" (they've covered: how populations evolve; how biodiversity evolves; evolution of microbial life; plants, fungi & the move onto land). Given that Carson's book really has nothing to do with natural selection (and actually has no basis in science), we're stuck. The best I could come up with was unintended consequences (of DDT ban, of antibiotic overuse, etc.) but that's a bit of a stretch. What are your thoughts? You know, I've been meaning to go back through your archives and do some "educatin' m'self." :) I really appreciated the Graves of Academe and have mentioned it to many others. Susannah said "Van, you are a repository of treasures on the Constitution! What an education your blog is in itself!" (Still looking for the smiley for 'Blushing') I really appreciate that Susannah, thanks. "The prof said the book "revolutionized discussion regarding the environment in the 60's" "
Well it certainly did that, it legitimized the use of political propaganda under the guise of 'science' and broke ground for showing future fiends like algore, how to smuggle sensationalistic lies into the popular imagination under the cover of cute furry creatures seemingly in peril. ugh. "... they were to "connect the DDT chapter to three points from previous chapters they've covered" (they've covered: how populations evolve; how biodiversity evolves; evolution of microbial life; plants, fungi & the move onto land)." ""Malaria perpetuates poverty by debilitating people. Unable to work, its victims cannot afford to feed themselves or their children. Sick and malnourished, they are prone to a vicious cycle of future infection and debilitation," said Dr. Roger Bate, author of When Politics Kills: Malaria and the DDT Story. "To break the cycle, to save lives, it is imperative that we have all the tools, including DDT, that work to help control malaria, protect health and ensure development."" ""The phenomena of increasing bird populations during the DDT years may be due, in part, to (1) fewer blood-sucking insects and reduced spread of avian diseases (avian malaria, rickettsial-pox, avian bronchitis, Newcastle disease, encephalitis, etc); (2) more seed and fruits available for birds to eat after plant-eating insects were decimated [by DDT]; and (3) Ingestion of DDT triggers hepatic enzymes that detoxify carcinogens such as aflatoxin," stated a May 1967 Virginia Department of Agriculture Bulletin." ""The scientific literature does not contain even one peer-reviewed, independently replicated study linking DDT exposures to any adverse health outcome [in humans]," said Dr. Amir Attaran, who is with Harvard University's Center for International Development and is a former WHO expert on malaria who used to support the environmentalists' call for using alternatives to DDT. Attaran changed sides on the DDT debate after he witnessed what happened when South Africa. After intense U.N. and environmentalist pressure, South Africa stopped using DDT and switched to the U.N. Environmental Program's alternative pesticides as a way to control malaria. But the mosquitoes quickly developed resistance to the new pesticides and malaria rates increased 1,000 percent. And despite UN threats to cut off funding for South Africa's public health programs, the nation started DDT again because its politicians could not stand idly by and allow millions of its citizens to become sickened and/or die from malaria. "They really tried to phase this stuff out, and had the budget to afford the alternatives," Attaran said. "[But if] South Africa can't get by without DDT, it's pretty much as if to say that nobody can. In addition to Carson's unfounded cancer claims, Silent Spring is also chock full of other "untruthful and misleading" statements that have absolutely no grounding in scientific reality whatsoever, said San Jose State University entomologist Dr. J. Gordon Edwards. Edwards is an environmentalist "with a desire to keep truth in science and environmentalism." He has even has a book published by the Sierra Club. Edwards at first supported Carson but quickly changed his mind once he began checking her sources. What he discovered was not only did Carson rely upon "very unscientific sources," but she cited many of the same sources over and over again in order to make her book appear incontrovertible. Even more startling is that Edwards "found" many of Carson's statements based upon sound, scientific sources were actually -- his word -- "false."" "They did not support her contentions about the harm caused by pesticides," Edwards said. "She was really playing loose with the facts, deliberately wording many sentences in such a way as to make them imply certain things without actually saying them, carefully omitting everything that failed to support her thesis that pesticides were bad, that industry was bad, and that any scientists who did not support her views were bad. It slowly dawned on me that Rachel Carson was not interested in the truth about those topics, and that I really was being duped, along with millions of other Americans." For example, Carson wrote that the Audubon Society's annual bird census from 1940-1961 showed widespread declines in the bird population so since this was the same time period that DDT spraying began, DDT was to blame. However, Edwards noted that the Audubon census figures actually show the inverse -- bird populations were increasing! In fact, some birds were benefiting so much from DDT, such as the blackbird and redwings, that they had become "pests."" "For example, Mexico, which was one of the few remaining producers of DDT in the world, was forced by the Clinton Administration to stop producing DDT if it wanted the North American Free Trade Agreement to pass. The U.S. State Department's Agency for International Development, under intense pressure from environmentalists, even changed its funding priorities in developing nations, noting that DDT funding would no longer be supported (but birth control would). The reason for this shift away from DDT towards an emphasis on population control reveals the Malthusian philosophy behind the anti-DDT movement. "[Any known alternative to DDT] only kills farm workers, and most of them are Mexicans and Negroes. So what? People are the cause of all the problems. We have too many of them. We need to get rid of some of them and this is as good a way as any," said Dr. Charles Wurster, chairman of the Environmental Defense Fund's Scientific Advisory Council and a key promoter of the DDT ban." Maybe if we start matching up their pictures of cute birds dying with pictures of cute human babies dying... nah... probably can't stir up much sympathy for something they hate. Not sure that's much help with your SIL's assignment though... it's kind of hard to spin fakery as scientific fact. ... and to tie that back to the danger of uninformed common sense, we need to recognize that that is just exactly what carson and algore use to hamstring us, to convince us to cut our wrists in order to improve our health. If you hear something like "...annual bird census from 1940-1961 showed widespread declines in the bird population so since this was the same time period that DDT spraying began... ", then it is an obvious common sense conclusion, to conclude they are tied together... but only if you've been educated to check for the related information to support and oppose the position... if we are not educated to habitually look for, and fill in those gaps, then our common sense ceases to be a tool for survival, and instead becomes a tool which we willingly use to injure and perhaps even kill ourselves with. Education doesn't need to be tied to any degrees, it needs to first and foremost, become a habit of mind that leads us to ask intelligent questions about the information and claims presented to us, and while some background information is very useful, desirable and helpful to have stored in memory, it is far more valuable to know to assume that you might be missing some vital context and data, and go looking for it - not in support of your sentimental inclination - but in order to be able to judge rightly. If that habit of mind isn't present, then no matter the degrees we might have accumulated, no education will have taken root in that mind. It needs to become common sense to never rely upon common sense, where the context of a claim is not already common knowledge and experience to you... when we can manage to ingrain that idea into us... we'll again be a people with an abundance of common sense. Gotta give you credit, man - these are substantial posts. If somebody out there has a question about the particulars of Montesquieu or Madison, I’ll send em here. Speaking of which... what there hadn’t been a Madison? Would the Bill of Rights be the same or have come about anyways? And what do you think about the Constitution as a "living document"? Merl said "Gotta give you credit, man - these are substantial posts." "Speaking of which... what there hadn’t been a Madison? Would the Bill of Rights be the same or have come about anyways?" Ooh... a toughie... lot's of variables in there. On the Bill of Rights itself, Madison was actually opposed to adding a bill of rights in the beginning... he thought it would do the opposite of protecting our rights, he was afraid it'd reduce them to only those listed... but then he got the idea of the content of the 9th & 10th amendments and felt better about the project. But much as he didn't want to do it, he'd promised, so he was trying to get congress on board... but they kept delaying it... until finally Madison just penned a batch (way more than the original 10 that were ratified), and brought them to the house (linked in this post), and got the debate rolling. If he hadn't been there... someone would have eventually have forced the legislatures hand and demanded they keep their promise of a Bill of Rights, and they would have looked similar - most states had their own - but would they have come up with the 9th & 10th? Not sure... more than likely it would just have been a long list of specifics Rights, which would have eroded away long before our day. "The unlicensed compacts between Virginia and Maryland, and between Pena. & N. Jersey--the troops raised and to be kept up by Massts... Trespasses of the States on the rights of each other. These are alarming symptoms, and may be daily apprehended as we are admonished by daily experience. See the law of Virginia restricting foreign vessels to certain ports--of Maryland in favor of vessels belonging to her own citizens--of N. York in favor of the same." Those two, Madison and Hamilton, more than any other (including Washington), without their efforts and instigations, there would never have been a constitutional convention at all, and were there, it's unlikely anyone else could have mustered the Political Science and Rhetoric lesson that is the Federalist Papers, to get it passed. Without Washington, it's doubtful anything would have succeeded, but without those two, I don't think anything would have been begun, and history would have enjoyed rhyming on the theme of the Peloponnesian War one more time. "And what do you think about the Constitution as a "living document"?" [gags and chokes] ahem... you mean other than apoplexy? The Constitution is not a 'living document', and that is least believed by those who push the idea of a 'living document'. That idea was and is pushed by those who are well aware of what the constitution is, and are deeply frustrated about it, and they use that as a pretext for getting around it. The Constitution is a written document, expressing the concepts of classical liberalism, natural law, individual rights, rooted in property rights, for the purposes of defining and limiting the powers of government, that useful and necessary thing, which as Washington said "is not reason; it is not eloquent; it is force. Like fire, it is a dangerous servant and a fearful master.". It is extraordinarily clear and easily understandable, once you have a grasp of it's fundamental concepts - that doesn't mean people will not interpret it differently - witness Madison and Hamilton - but no one, no one grasping, and revering, those fundamental concepts, vital to liberty and pursuing a life worth living, would ever claim to find within the constitution a right to force the entire nation to submit to a govt defined and controlled 'healthcare' system. Such a thing is, in the clearest conceptual terms, and even fullest secular sense: anti-individual, anti-liberty, anti-American, and Evil. Those who push the idea of a living constitution spoiled and ignorant children playing with fire. They recognize that the constitution is a limitation, a barrier against all the things they would love to have the power to do, the power to 'do good' to We The People, and the world, and they hate it. Read what folks like Teddy Roosevelt, Woodrow Wilson, etc, actually said about the constitution, their only concern was how they could spin their way around those barriers to power. When you hear someone prattling on about a living constitution, you should hear: 'I want Power! '.